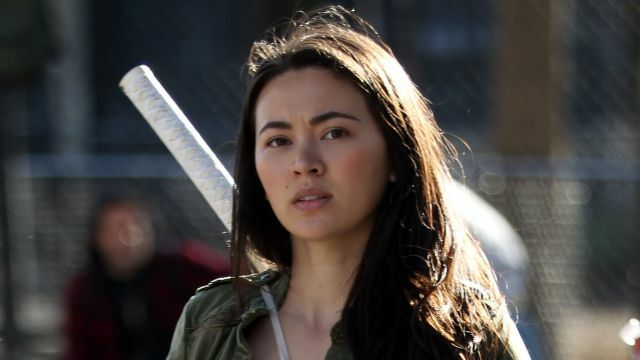 Continuing their tradition of a Defenders casting announcement every day this week, Marvel Entertainment has confirmed that Jessica Henwick will return as Colleen Wing for the series. She will make her debut as the character in Marvel’s Iron Fist, which premieres on Netflix on March 17, 2017. The Marvel series stars Charlie Cox as Matt Murdock/Daredevil, Krysten Ritter as Jessica Jones, Mike Colter as Luke Cage, and Finn Jones as Danny Rand. In addition, Elden Henson will be reprising as Foggy Nelson along with Deborah Ann Woll as Karen Page, Eka Darville as Malcolm, Carrie-Anne Moss as Jeri Hogarth, Simone Missick as Misty Knight, Rachael Taylor as Trish Walker, Scott Glenn as Stick, and Rosario Dawson as Claire Temple. It has been hinted that Jon Bernthal’s The Punisher will return for the series as well, but that remains unconfirmed. Academy Award and Emmy nominee and Golden Globe winner Sigourney Weaver has also joined the cast as the villain for the series, though who she will torment the heroes as remains to be seen. Marvel’s Daredevil showrunners Marco Ramirez and Doug Petrie serve as showrunners and executive producers along with Drew Goddard, Jeph Loeb and Jim Chory. Director S.J. Clarkson (Marvel’s Jessica Jones, Dexter) will direct the first two episodes of the culminating mini-series event. The eight-episode series will premiere in 2017 along with Marvel’s Iron Fist and Marvel’s The Punisher.